After reading this article and applying these four steps, you will get on your way to a leaner, healthier and sexier physique a lot quicker. Start burning that fat with these 4 simple steps! If you are new to bodybuilding or weight loss, then I am hoping to save you a lot of time and frustration with this article. You want to get leaner, you want to start seeing more vascularity in your arms and when you are pumped, you want to see all that great definition like those guys and girls on BodySpace or the magazines. After reading this article and applying these four steps, you will get on your way to a leaner, healthier and sexier physique a lot quicker. This will still take time and patience, but this will save you a lot of thought and aggravation in the long run. You can start expecting results in a few weeks and that will keep you motivated to keep going long after you meet your initial fitness goals. 1. Cardio First Thing In The Morning Before Breakfast. This is one that you can get over and done with literally as soon as you step out of bed. 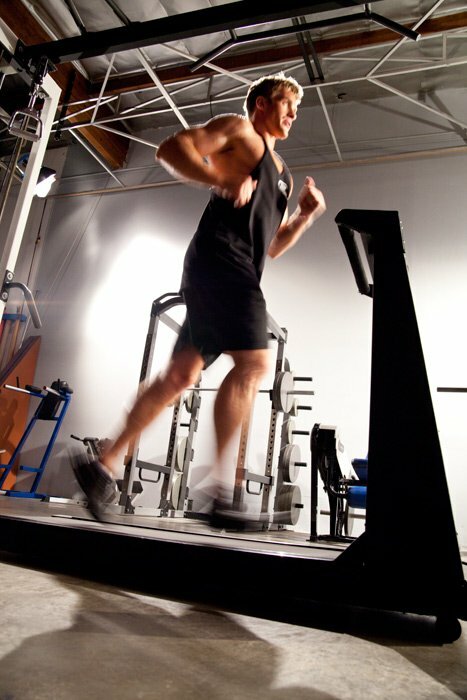 You get up, get a glass of water, and either hit the treadmill, go on a power walk, or hit a bike. No breakfast, no small bite beforehand, you do not take in a single calorie until you do at least 20 minutes of cardio first. The reasoning behind this is when you do the cardio without eating, your body needs to tap into something for energy. In an aerobic state, your body will go straight to your fat storage. This results in more fat loss as opposed to doing cardio in the middle of the day or in the evening. If you can't do it first thing in the morning, then at least do it after your weight training. Go Straight To Your Fat Storage. When you workout, your body will use up the energy it has so when you do cardio, it will have to resort to the fat storage. You will burn more though if you do it in the morning. 2. Drop Carbs The Last 2 Meals Of The Day. Your body needs to burn more calories than it takes in order to lose weight. Another way to do that is to drop carbs for the final two meals of the day. You need the carbs provided in the first 3-4 meals because they will provide you with energy that you need to take care of your daily tasks. Once your day starts coming to an end, you will be relaxing more and getting ready for bed. Your body will get more in a relaxed state and will not process the carbs for energy, but rather it will store them as body fat to be used for energy later. Dropping those last servings of carbs will prevent that storage and help you get leaner throughout the weeks. Now you can not drop your protein because your muscles need the protein all day long. You can also keep all of your veggies in every meal as well. Drop your breads, rice, pasta, potatoes, etc. from your final couple of meals. 3. Take A Fat Burner. Now I want to mention at the very beginning that if you are not training as hard as you should and if you are not eating properly every day consistently, then buying a fat burner will be a waste of your money. Fat burners are supplements. Therefore they supplement a proper training and nutrition program. Also, they cannot be taken excessively as they won't work and can potentially be harmful. Taking them too much means your body will adapt to them and they won't work for you anymore as well. With all that said, if you have done everything you can do in the gym and in the kitchen, then a fat burner supplement could be the final thing you need to help you melt all that body fat off. and get your body in a thermogenic state. Once you begin your aerobic exercise, you will burn more calories, and you will burn calories even after you are done training. The fat burners will also help you keep your energy up throughout the day to get through all of your daily tasks at work and at home. 4. Monitor Your Progress With Your BodySpace Account. BodySpace is a wonderful tool and if you don't have an account yet, you need to get one. BodySpace is a social network similar to MySpace, only it caters to folks that are more fitness oriented. You can post your progress pictures so you can see your transformation taking place right in front of you. You can see others progress and get motivated to do it yourself. To Folks That Are More Fitness Oriented. There are also favorite categories of exercises, foods, cheat foods, etc. You can log all of your daily thoughts and goals on your BodyBlog. You can make friends from all over the world that may have similar goals to what you have and you can push each other to succeed. There are all types of fitness personalities, champions, and mentors on BodySpace. You can also join or start your own BodyGroup. Your group can be people like you wanting to get leaner, they can be a group under the guidance of the same personal trainer, or it can just be a bunch of friends that want to see how each other is doing. Whatever it takes to help you keep motivated, BodySpace has it and more. Someone on BodySpace can see your progress and get inspired to get in better shape themselves. That person may even find you one of their 10 Most Inspirational Members. That is quite an honor considering that there are over 300,000 BodySpace accounts and members can only pick 10. That is inspiring in itself. Losing weight and getting a lean, sculpted physique is quite a challenge, but applying these four steps will help you go a long way towards meeting that goal and prevent you from getting frustrated and wanting to quit. Getting up first thing in the morning and doing your cardio shows that you are serious about it and the fact that you do something about it as soon as you get out of bed is motivating.